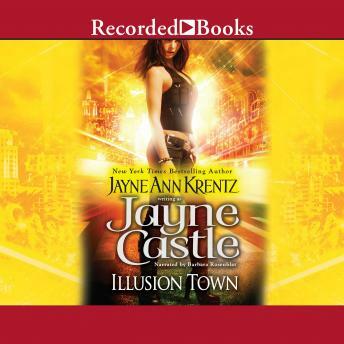 A new adventure begins on Harmony in the brand-new novel from New York Times bestselling author Jayne Castle. Hannah West and Elias Coppersmith have no regrets about their impulsive wedding-because they can't remember it. All either can remember is that they were on the run. With Hannah's dubious background and shaky para-psych profile, she could have done much worse. The cooly competent mining heir arouses her curiosity-as well as other parts of her mind and body. And even her dust bunny likes him. But a honeymoon spent retracing their footsteps leads Hannah and Elias into the twisting underground catacombs, where secrets from both their pasts will come to light-and where the energy of their clashing auras will grow hot enough to burn.